Celebrate This Valentine's Day the Heart-Mind Way! Check Out Our New Heart-Mind Online Resource Exploring Love and Compassion To All Those Around Us. "Heart-Mind Valentines for Compassionate Love"
Celebrate this Valentine's Day the Heart-Mind Way! Did you know that compassion is important for healthy relationships, improves mood, buffers us from stress, and helps us feel more connected to others? And that these benefits and more can be achieved through practicing compassionate love? 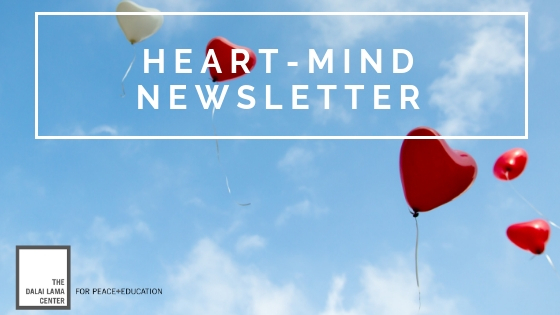 We have a wonderful new resource on Heart-Mind Online: Heart-Mind Valentines for Compassionate Love, just in time for Valentine's Day, which highlights that the day doesn't have to be about ONE special someone. It can be an opportunity to extend feelings of love and compassion to all those around us, near and far. 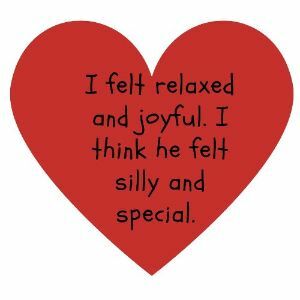 The resource includes an activity that helps children learn about Heart-Mind well-being as they exchange valentines and cultivate compassionate love for family and friends. In this fun, social activity, primary and intermediate students (parents can also do this activity with their children at home) learn how to strengthen different dimensions of Heart-Mind well-being and exchange valentines that encourage each other to practice compassionate love with a close person in their life. Participate in "Heart-Mind Valentines" by March 1st for a chance to be featured in the next edition of the Dalai Lama Center Newsletter! For more details check out the resource here. Copyright © 2019. The Dalai Lama Center for Peace and Education. All rights reserved.